There have already been more than 600 reported cases of fly-tipping in 2016. FIGURES RELEASED BY Dublin City Council have highlighted the increasing problem with illegal dumping across the country. Councillor David Costello recently requested details of the number of reported cases of illegal dumping in the city. Already this year, there have been 603 occurrences of fly-tipping, along with 27 other litter offence reports. The total for the whole year of 2015 was 858. The council said it should also be noted that not all reported occurrences are recorded due to the unavailability of staff and many dumped items collected by waste management crews are not represented in the statistics. “The figures indicate that we are facing a 40% increase in the number of reported cases this year when compared to 2015,” Costello said today. I believe that unless action is taken now, our city is going to start to resemble a slum. Our tidy towns groups from Finglas, Phibsborough etc are fighting to make our towns cleaner and more appealing. Most companies subsequently agreed to freeze their prices for a year after intervention by Environment Minister Simon Coveney. David Costello said the government should take control of the bin collection sector to ensure the service is accessible to all and include bin collection fees in the rents of both public and private dwellings. In April this year, the council began posting CCTV images of fly-tipping offenders to try to curb the problem. Twelve still images were erected on a wall near the Five Lamps, showing people dumping rubbish off the main street. Within hours of erecting the posters, one offender contacted the council asking for it to be taken down. Have you spotted illegal dumping in your area? We want to know about it. Send pictures and details to michelle@thejournal.ie. Email “Dublin city facing 40% rise in illegal dumping this year”. 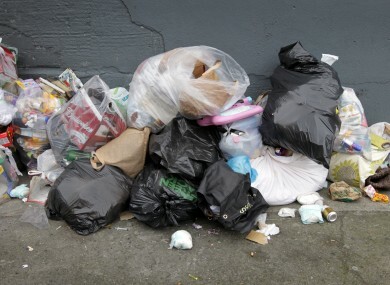 Feedback on “Dublin city facing 40% rise in illegal dumping this year”.